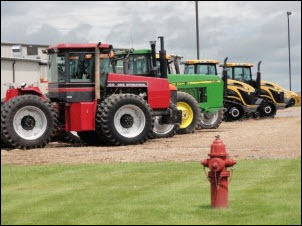 For all of these reasons, equipment lessors need a qualified equipment appraiser to guide them through the maze of asset valuation. The question for equipment lessors, then, is how to select an appraiser, what to look for in the equipment appraisal contract, and what to expect in a leased equipment appraisal report. Thanks again to Bob Podwalny for the generous contribution of his knowledge and experience in this area. The selection of an appraiser is as important as the appraisal report itself. There are many practicing appraisers with a diversity of backgrounds and expertise. Be careful to select an appraiser who has the appropriate background to conduct an accurate appraisal and one who has the necessary knowledge of the market dynamics. Are you familiar with the leasing industry? Are you a member of any professional appraisal association? If so, what is your designation and is it current? How many years of appraisal experience do you have? Are you knowledgeable about this equipment type? What appraisal methodology do you generally employ? What type of report do you provide and do you include photographs of the equipment? Are you also a buyer or seller of this type of equipment? Can you provide an unbiased opinion of value? What, if any, relationship do you have with the lessee? Once an equipment lessor has found a qualified appraiser who is familiar with the leasing industry and with the particular kind of equipment concerned, you'd think the hard part would be over. Fact is, there's still reason for the lessor to stay on his or her toes. Next up is the written materials the equipment appraiser will provide; both the initial contract and the final report should be reviewed thoroughly by the equipment lessor. While these checklists are offered specially for the appraisals of leased equipment, it's worth noting that anyone looking for an equipment appraisal or reviewing equipment appraisal reports for any situation would benefit from this information. Accurate, substantiated valuations of equipment are needed for many business and personal situations. You want to be sure to have the right appraiser and the appropriate report for your needs.